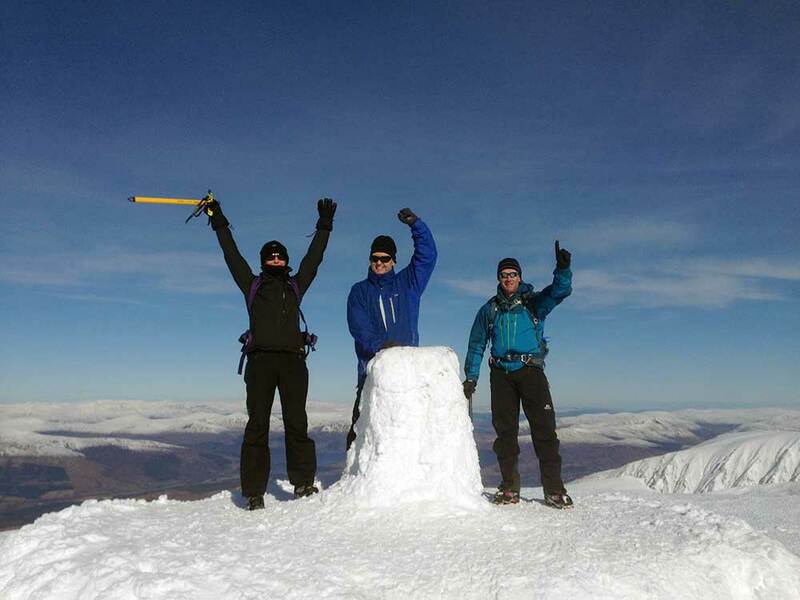 Read the report from the team’s National 3 Peaks winter Challenge from 17th-19th March 2017 in aid of WWF. 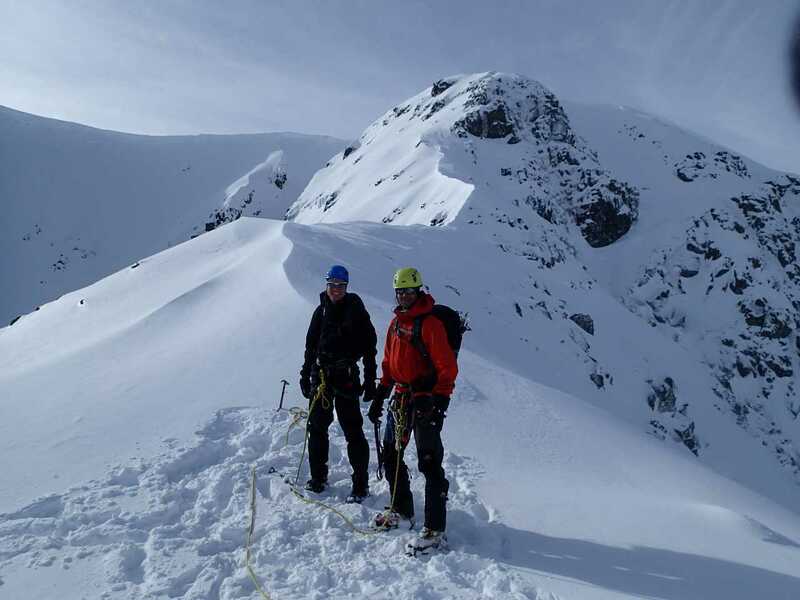 Our Scottish winter courses are now in full swing and we’ve had some great reports from our mountaineering, and snow and ice climbing courses. Read on for the latest! I met Nasser in Saturday and we decided to go to the Ice Factor and then Onich Gorge in the Afternoon. I booked the ice and we got in first and this allowed us to gain access to the best space for coaching movement skills on snow and ice. 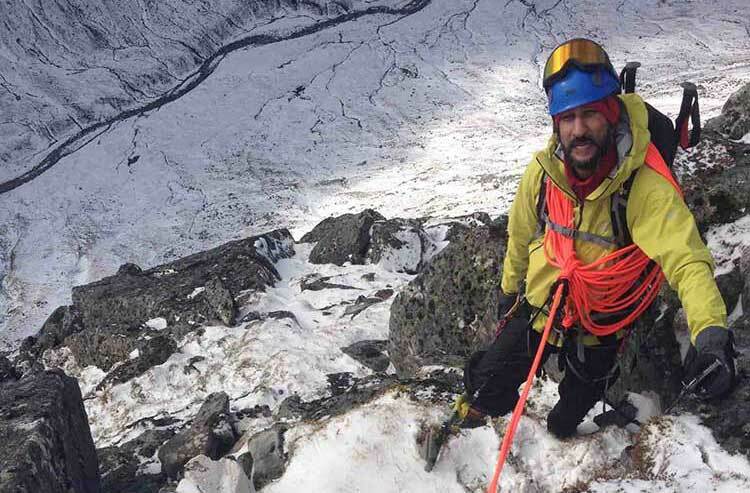 After a drive up Glen Coe to check conditions we went to the gorge and Nasser practised abseiling and made a complete on sight no falls ascent of the M1 slab. Once we got to the base of the Nid Ridge and the slope angle increased we introduced the ice axe and explored how to use it to enhance our security on the steeper slopes. 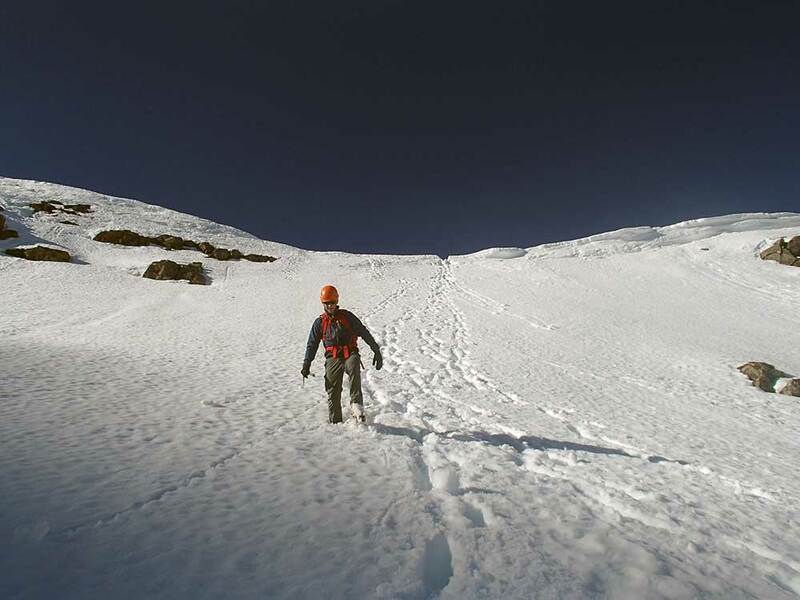 We continued up the slope experimenting with using both our boots and the axe to create suitable steps according to the angle and hardness of the snow. We also tried ascending few rocky steps to make things a bit more exciting. 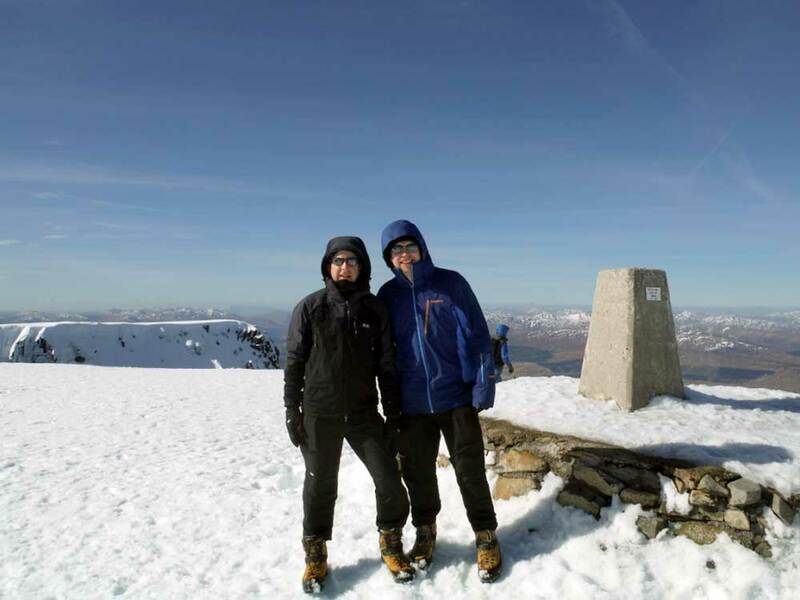 Day one – We caught the Aonach Mor Gondola up. Then walked round to climb the central ridge of Carn Mor Dearg, a tough 600m + climb mostly on boulders with snow at the top. We then descended to meet another Adventure Peaks team just above the CIC hut to pick up a tent. Where we had a wet night camping on the snow and doing some Jumar and abseil practice. 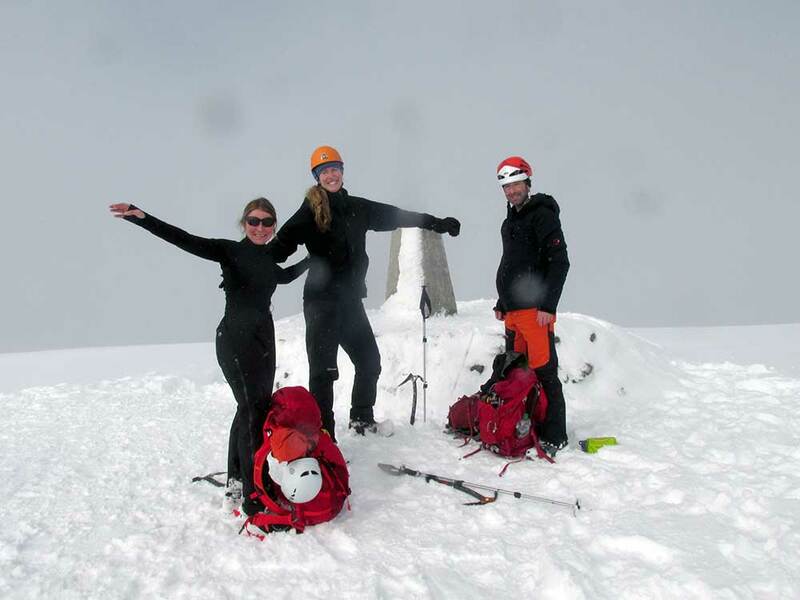 We enjoyed clear blue skies initially which clouded in later (a great cloud inversion and clear on the summit). The snow conditions were firm after overnight with cold temperatures. Drove up to top car park for 7.30 and walked in to Coire na Ciste in very warm temperatures. We had a great 4 days with superb weather. Ryan was a strong client and we had some big days! 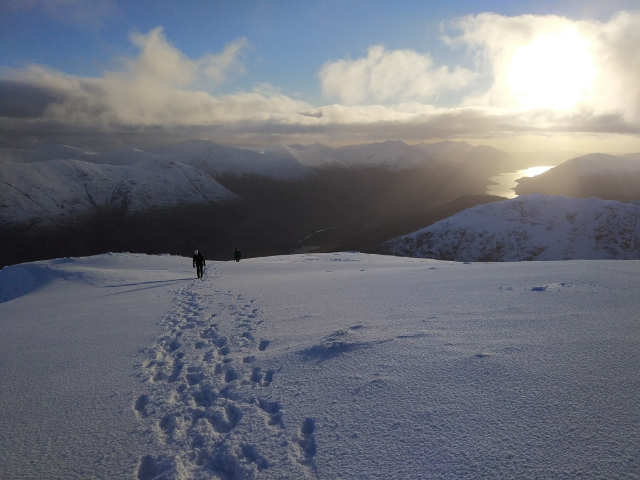 We had a Winter Skills day in Glencoe which included 2 Munros. 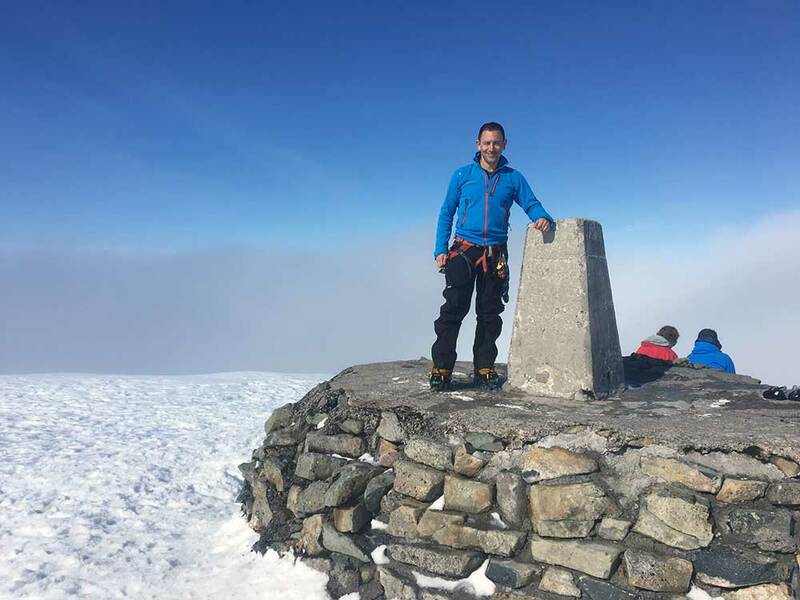 A trip up Buachaille Etive Beag in Wind, rain and low cloud on the Saturday gave Alistair and Derain an appreciation of the importance on Navigation in winter, when there is no visible footpath. At the col they were instructed and practiced Ice axe arrest in the rather soft wet snow before walking along the ridge to the summit of Stob Dubh for their first sense of exposure and there first Munro! 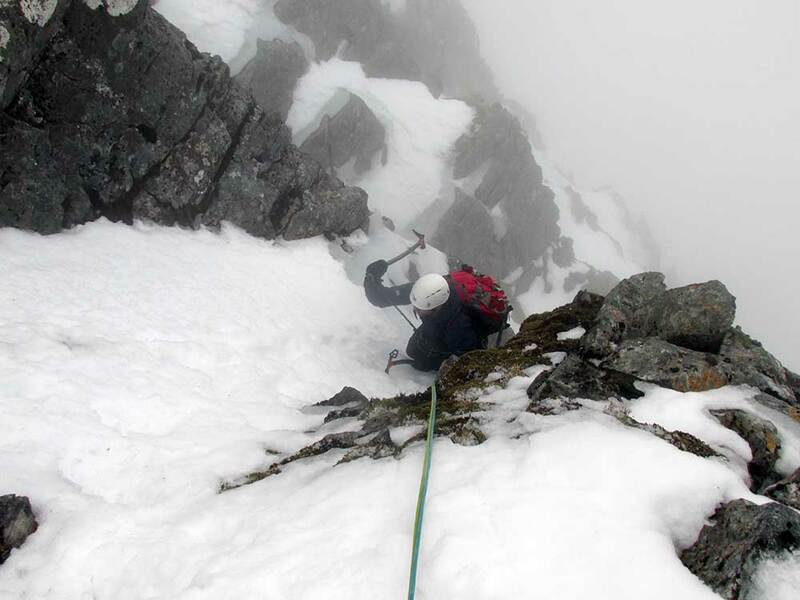 Monday: usual first day roll about in the snow with some winter belays and rope work on Buchaille Etive Beag. Weather was fairly full on with new snow and 30mph winds no pictures of this day. We summited in a blizzard and beat a hasty retreat back to the van. A good shake down day.